In 2013, I would have told you that I was the world’s greatest Dad. And it wouldn’t have been hard to find people to back me up on that claim. The problem is that any Dad who thinks that he is the world’s greatest Dad is most definitely not. My transition from Iowa to Richmond was a very difficult one. My unmooring made the house of cards, that I had built up over years, start to wobble and soon follow gravity’s order. 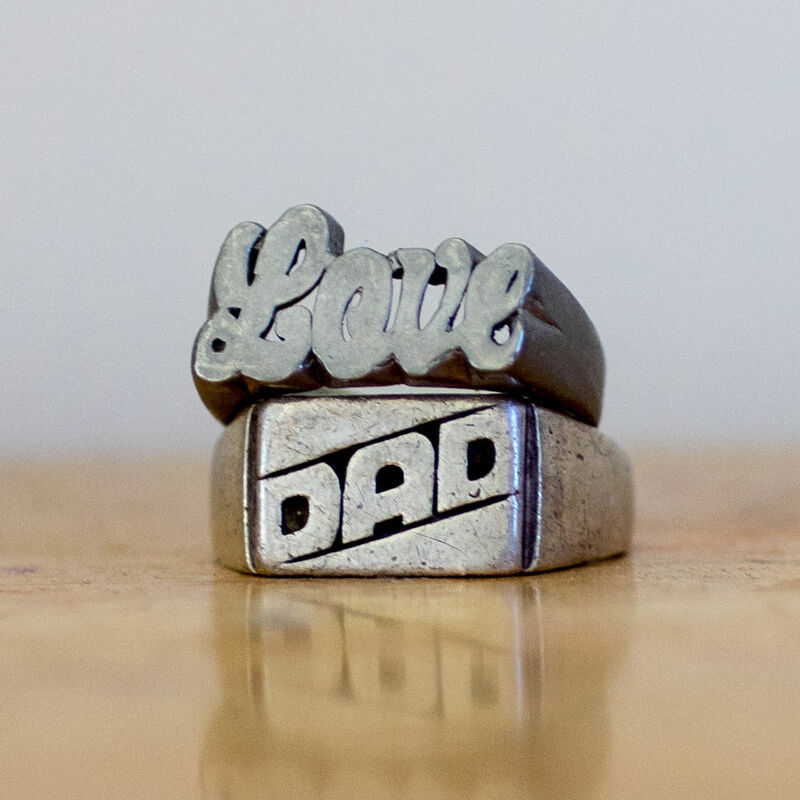 Somewhere in there this world’s greatest Dad started drinking at noon and buying expensive clothes he could not afford and these giant gaudy silver rings that were heading to the smelter. I was in a new place where people did not know me or know what my “normal” was. Some people thought I was funny and others knew that the fun would not last much longer. These are not me now, nor do I ever want them back on my fingers. I took them off shortly after getting my 90 day chip. Even with just a little time in, these giant rings were a distraction from the real everyday that I had in front of me and still do.